Day 2 of the Summer series saw an additional entry! Marlin joined the usual suspects with two windward/leeward races scheduled for the day. The fleet hit the water with ready for a 1330 start, but we were delayed slightly for the course to be set. 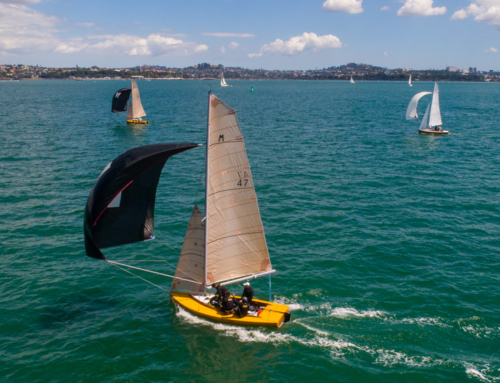 In the lead up to Race 1 the wind slowly built and at start time the we had 18knots NNE, with the windward mark situated under Rangitoto – almost two nautical miles away! Mach One had a slight advantage at the first mark followed by Marksman, Menace, Martara and then Marlin. The downwind leg proved a little challenging with winds gusting to 25 knots and Mach One really showing their speed downwind. Mark 2 saw Mach One, followed by Marksman. 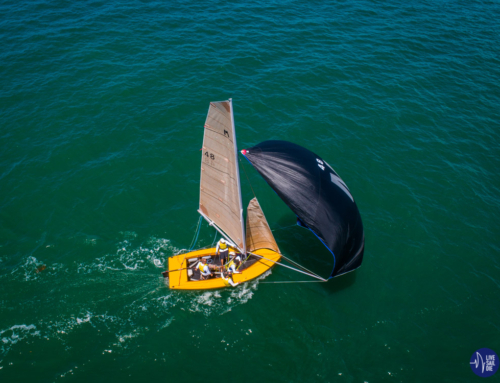 Menace thought about going around the mark incorrectly only to put the brakes on by throwing their kite overboard!!! With D3 set as the course (that’s three times around the top mark) the fleet had two more laps with the breeze gradually increasing. On the final downwind, Mach One had led from start to finish, follow by Marksman, Menace and Matara. Marlin called it a day a little earlier and headed in for a well deserved refreshment. Race 2 saw a reduced fleet of three, with a D1 course set. 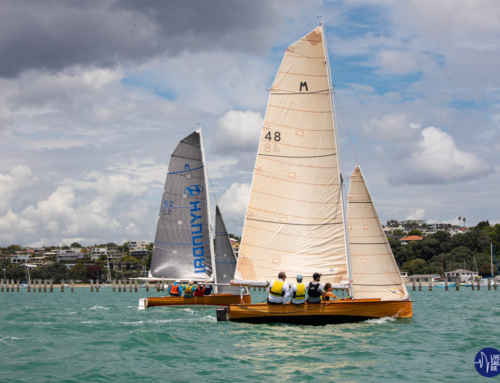 Despite a much shorter course Matara chose to take a swim, whilst Mach One ended the day with yet another win followed by Menace and then Matara. A great day had by all and we’re certainly looking forward to increase the fleet numbers especially as we get the chance to start ahead of FF15s. Looking forward to the next race day!